If you are interested in making money in real estate, you need foresight, tenacity, analytical thinking and great negotiating skills. By combining those qualities you can also predict which property markets are about to boom. To help you find those boom markets, here are the leading 8 indicators you should be paying attention to. If an area experiences a sudden shift in demographics, it can trigger a quick growth in property prices. One demographic you are looking for is young employed people (20-45 years of age). These are people who are in the middle of their working years and have the financial capacity to buy a property. Another demographic shift can involve retirees entering the area. If it is a particularly nice place to retire, large numbers of baby boomers might seek to buy property there in the coming decades. Looking for a sudden growth in population, which is always a positive sign. You can look at metrics like the “average days for a sale” to determine how strong demand is for property within a market. If newly listed properties sell within 14 days on average, demand is already very high. Some websites offer this type of data for free. One of the earliest signs of an underlying demand for property is a lack of available rentals. It indicates there is a potential housing shortage driven by people moving into the area. Many of these people may be looking to buy a property in the next few years. Look at various measures of affordability to determine if a property boom is about to start. The house price to median income ratio is one useful affordability indicator. Can people living in the area afford to buy houses that are 25% more expensive in a year’s time? You will need to gather some data showing the wages growth and changing demographics to determine how long a boom can be sustained. If a new piece of infrastructure is planned, property prices will usually go up around it. Some pieces of valuable infrastructure include: a train line, a major highway, port facilities, a new college, bus transit lanes and bridges. You can contact government officials to discover where new infrastructure projects are going to be developed. You could also look for areas that have just started offering tax increment financing (TIF). TIF is government financing made available for redevelopment and infrastructure projects in specific communities. When a large company has decided to set up shop in a new area, demand for housing will increase. Follow the news to see where large companies are establishing new operations and headquarters. Quickly adding a few thousand permanent residents to a town’s population can increase property prices very quickly. When the interest rate is low and mortgages are easy to obtain, property booms are more likely to occur. If banks are not being stringent with their lending requirements that means many more potential buyers can get into the market.
. The amount of local housing stock about to enter the market. In conjunction with other statistical data, these figures can help predict upcoming boom areas. 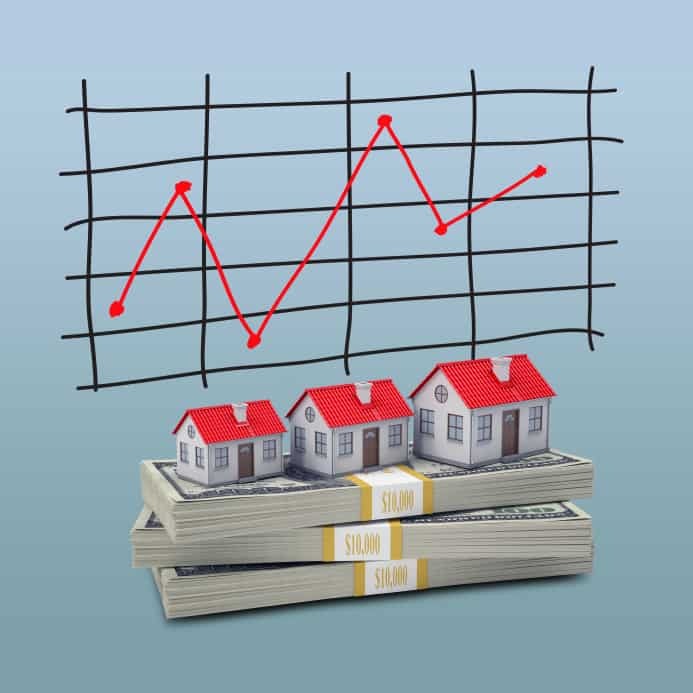 By understanding the various forms of economic and statistical data available to you, predicting a property boom becomes easy. Once you can determine which towns and cities are entering a boom, get in quick and secure your capital gains.